In it she reminds him of her love and makes one final request. An impossible request—I want you to marry again. She tells him he shouldn’t spend the years he has left grieving her. And to that end she’s chosen three women she asks him to consider. 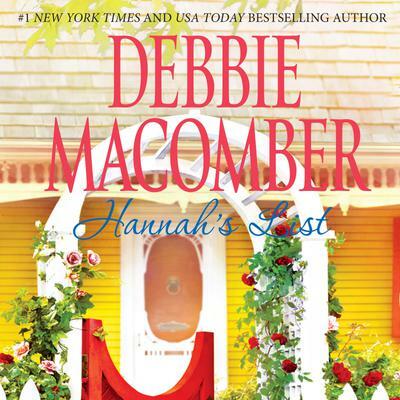 First on Hannah’s list is her cousin, Winter Adams, a trained chef who owns a café on Seattle’s Blossom Street. The second is Leanne Lancaster, Hannah’s oncology nurse. Michael knows them both. But the third name is one he’s not familiar with—Macy Roth. Each of these three women has her own heartache, her own private grief. More than a year earlier, Winter broke off her relationship with another chef. Leanne is divorced from a man who defrauded the hospital for which she works. And Macy lacks family of her own, the family she craves, but she’s a rescuer of strays, human and animal. Macy is energetic, artistic, eccentric—and couldn’t be more different from Michael.